Since 1962 E&L Service Company has been helping Houstonians keep their homes and businesses cool and comfortable in the summer and warm and snug in the winter. 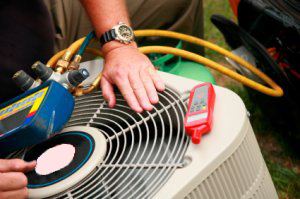 We are very pleased to offer complete maintenance and repair services for air conditioning and heating systems of all types and sizes. We are proud to offer full-service professional installation on systems designed and manufactured by American Standard and Ruud. We also provide scheduled maintenance programs to help assure that your system is in top running condition throughout the year. We hope you find our site informative. Please visit our Q&A Pages and our newest section: “Steve’s Blog“. It is our job to help you remain comfortable year-round, while also striving to save you money on your energy bills at the same time – using the latest energy efficient equipment that suits your needs. And feel free to drop us a note with any questions you might have on your heat and air system. We invite you to learn more about E&L Service Company and about how you can be cool and not go broke doing so. Please visit our Q&A area for many answers and ideas for some of the most common questions we get about air conditioning, humidity and saving money while staying comfortable in Houston, Texas. Read the Mission Statement of E&L Service Company.